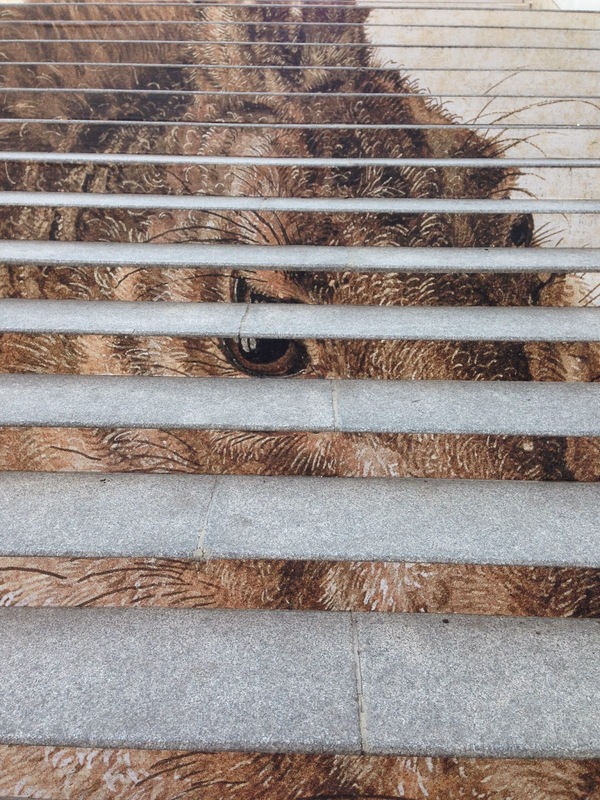 Over the summer, the tiny, meticulous "Young Hare" that Albrecht Dürer sketched up in 1502 hung prominently inside Vienna's Albertina Museum...while a gargantuan facsimile greeted visitors on the stairs. The museum sits inside one of Wein's many Hapsburg palaces (this one having been built in 1744 for Count Emanuel Teles Silva-Tarouca, then gifted, redecorated, rehauled, redecorated, gifted, bombed and recently rehauled). The bunny was the cornerstone of the "Dürer, Michelangelo, Rubens" show, which went down in June, but the bunny, remains alive in wildly detailed HD as part of the Google Art Project/Cultural Institute (yes, I'm obsessed). While not all museums have stairs designed to elevate Hapsburg princes, why don't more do this? I'm heading to Vienna in a couple weeks and will have the chance to see Miró and Katz, but no bunnies. (The top photo is a still from Cast Your Art's video - in German - about the show and the one below is from morganchele's flickr). Merisi's Vienna for Beginners blog has even better shots here. The Franklin Institute in Philadelphia often does this with an image that ties into the special exhibit. It's always pretty cool.